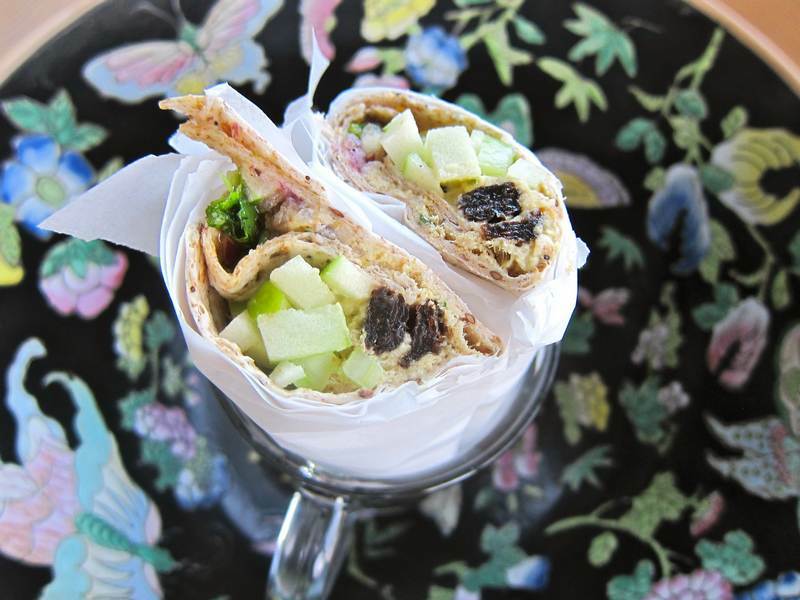 Curried Tuna Wrap – Bingo! Every time I come across a great tasting recipe, I want to shout “Bingo!” When my fellow food samplers confirm the score, it’s like “Double Bingo!” Then I get emails, or I bump into people who’ve made the recipe and loved it and–what?– “Triple Bingo?” And you wonder why I always walk around smiling. 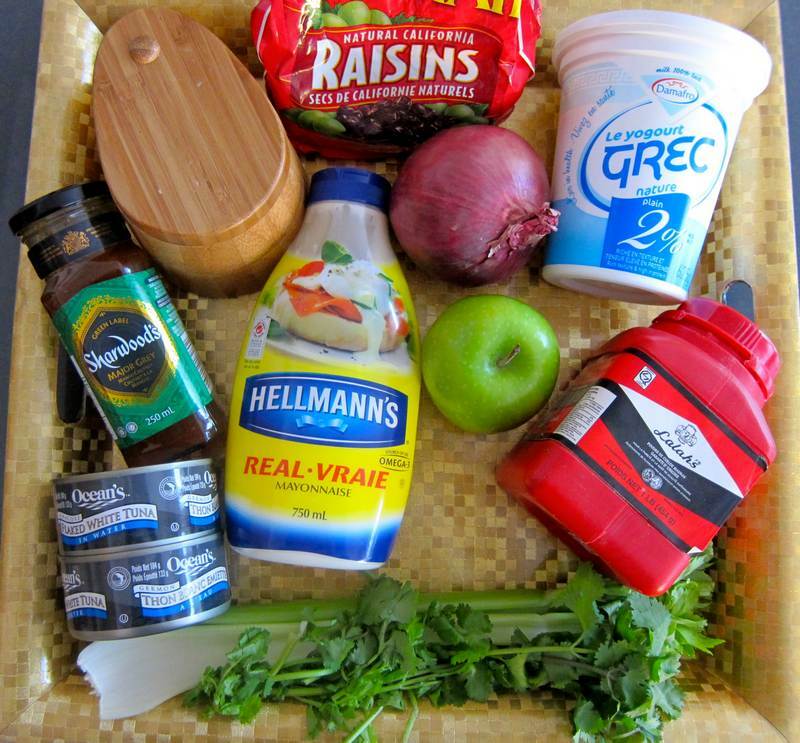 Thanks to Kate McClurg for sharing her fabulous curry chicken sandwich recipe. Kate has become one of my many recipe whisperers. Bingo! Blend the tuna by hand or in a processor. 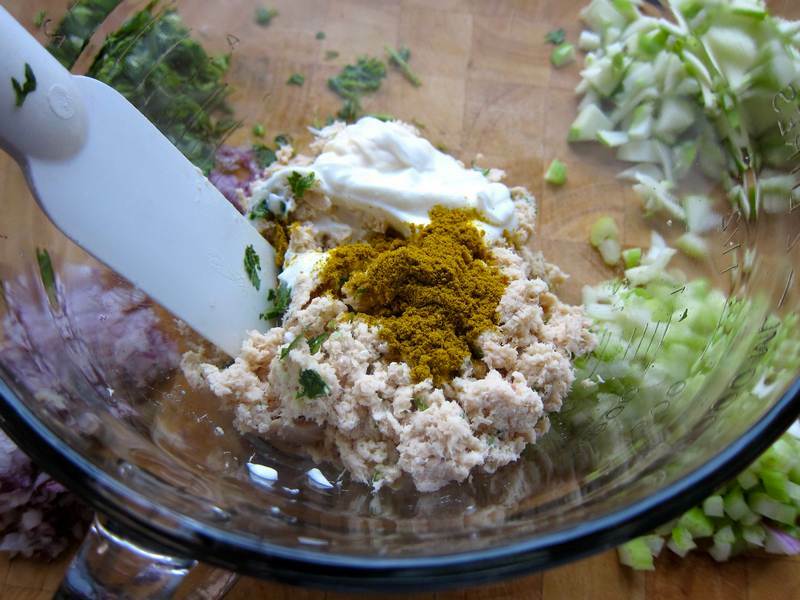 In a medium-sized bowl, combine the tuna with the mayonnaise, yogurt, curry, salt and pepper. Either line each ingredient up on the wrap or mix them into the tuna before dividing into 4 portions. Use parchment paper to hold the wraps together. Then, you can slice right through the wrap before serving or refrigerating it in a plastic bag. Serves 4. Want to know how much tuna you can consume safely? The Natural Resources Defence Council has guidelines. Here’s a Shrimp Curry Wrap recipe. 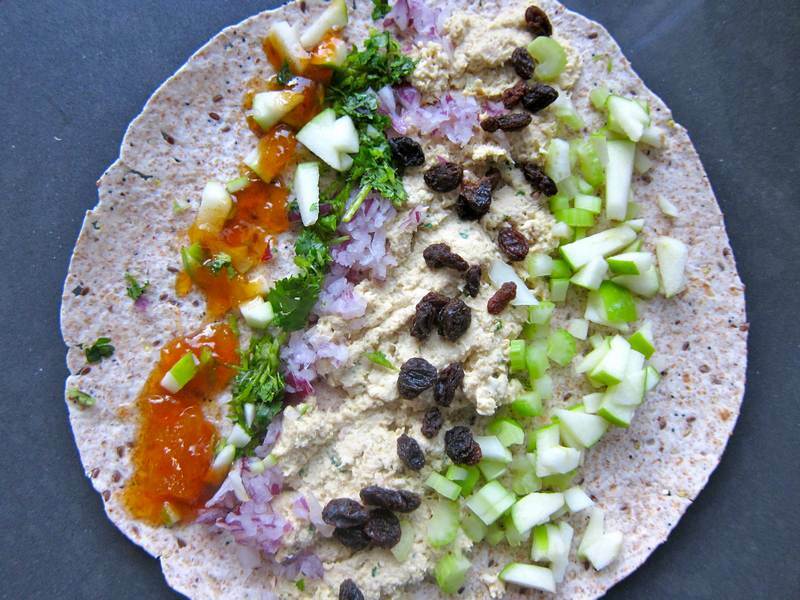 Here are 16 healthy wrap recipes and five BOLD wrap recipes. Looking for delicious food that fight belly f-a-t? Or have you embraced your inner Lena Dunham? Perhaps this Curried Tuna Wrap recipe would taste equally wonderful made with egg, salmon, beans, grilled vegetables or turkey? Looks and tastes really good! I want to try this but wondering how much curry powder you used. Thanks for that Nina! All ingredients are now included. Details, details! Thanks for the warning Eric. Will keep tuna to a minimum. I suggest you try this wrap with cooked chicken. wow, thanks for that Eric. Fresh tuna too? Or mostly canned? To think we think fresh salmon is good for us and try to eat more of it. Now what to do? I’m no expert. I listen to Harriet Sugar Miller on http://www.eatandbeatcancer.com and my brother Eric. The salmon caught off North American shores do NOT travel that far, according to a well-respected expert on salmon migratory patterns. Of course, what will happen down the line as that Kuroshio Current, likely still carrying Fukushima radiation, makes its way slowly to our Pacific and then Alaskan shores? We don’t know. I do know that I’m on the case. Fish from Japan? Now, they’ve got a big problem. If you order fish in a restaurant, make sure you know where it’s coming from. The big picture, including migration patterns of our North American salmon and a map of the Kuroshio Current:. there’s always a peanut butter sandwich! I adore peanut butter. Thanks for the reminder. How about peanut butter banana wraps? Finally! This is the type of comment I’ve been waiting for! Anybody else try the recipe and have a comment for us? Thanks for sharing Nancy!